Nothing compares to timeless music that is not only still relevant but also still tugs at your heartstrings some 50-plus years later. Smokey Robinson, a classic crooner, turned 76 years young Friday. I found this throwback performance of "Ooo Baby Baby" with the Miracles, and I can't stop grooving. The tune was originally released March 5, 1955, on 7-inch vinyl. Vinyl! What y'all know about that? This era of music was bigger than music. It was a cultural icon. Berry Gordy Jr. changed the face of music for people of color. He helped hurdle the overt racial barriers that had plagued the country since its inception. I appreciate Gordy's tenacity and vision to bring music to black America in a way that would make us swoon for decades. He brought us Marvin Gaye, the Jackson 5, Lionel Richie, the Temptations, Diana Ross, Stevie Wonder and so many more. 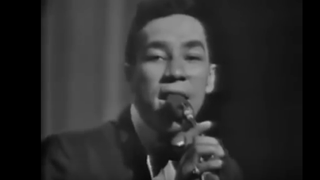 Groove with me and watch this video of Smokey Robinson and the Miracles singing, "Ooo Baby Baby."